As Independence Day approaches, these tips can help you keep your cat calm during fireworks season. Fireworks season is often a fun time for humans, but it can be frightening for our felines. Loud noises often induce fear in our pets and can cause them to try and bolt or find a safe place to hide. 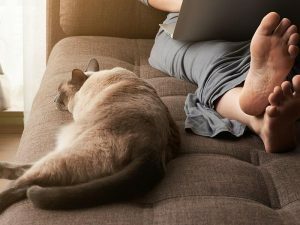 In order to ensure your cat’s safety during the Fourth of July, here are some tips you can implement to help keep your cat feeling comfortable and safe during fireworks season. If you know or are worried that your cat is frightened of fireworks, consider staying home for the night to keep them company instead of heading out and leaving them alone. Cats are great at reading the emotions around them, so staying cool, calm and collected can help to put their fears at ease. 3. Close windows and block any exits. 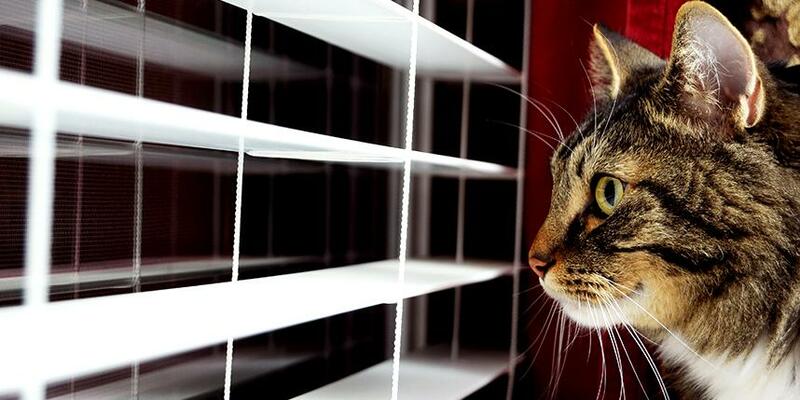 If your cat is frightened, a screen may not be secure enough to keep them from escaping the home. 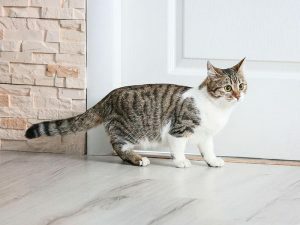 Small crevices in your basement or cracked doors may also act as escape routes for an anxious feline. Keeping windows closed will also help reduce the “burning” smell of fireworks that can be bothersome to cats because of their more acute sense of smell. 4. Use curtains or blankets as a buffer. 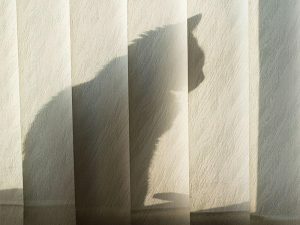 Using curtains or blankets to block your windows can help to reduce noise and flashes of light that might distress your cat. 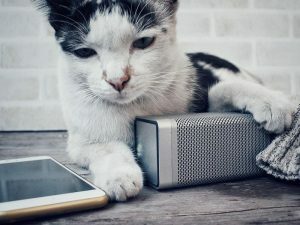 Playing soft, classical music or music created specifically for cats can help to reduce the intensity of the bangs, whistling and whizzing noises outside. Just be sure to keep the music at a reasonable volume, as blasting music may add to your cat’s distress. 6. Use playtime as a distraction. 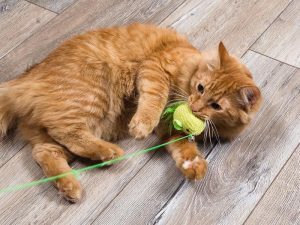 Not all cats will be willing to play if they are feeling anxious, but if your cat is open to it, playtime can act as a compelling distraction from the noise outside. 7. Create a safe space just for them. Anxious cats often seek out hiding places. 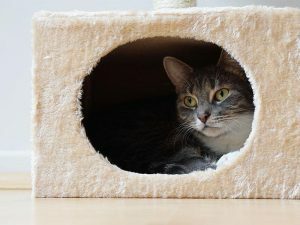 Create a safe space for them, with a few different hiding spots available and easy access to water and a litter box. Consider using a pod or cave bed as a hiding spot for your cat. Place a shirt that smells like you in the bottom of the bed to provide a scent that is comforting and familiar. 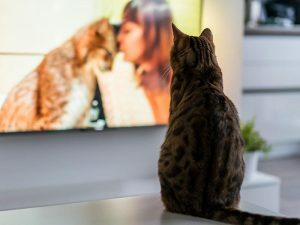 By providing your cat a safe space to hunker down, and by doing your part to block out overwhelming sounds, smells, and sights, you can help ensure that your cat stays safe during fireworks season. Just being there to provide comfort and cuddles, should they want to snuggle, can do wonders for your cat. FLEA SEASON … AND OTHER THINGS THAT MAKE YOU SCRATCH YOUR HEAD. LET FUR-EEDOM RING! HAPPY FOURTH OF JULY EVERYONE! AUTUMN 2010—A SEASON WORTH FALLING FOR PETS!